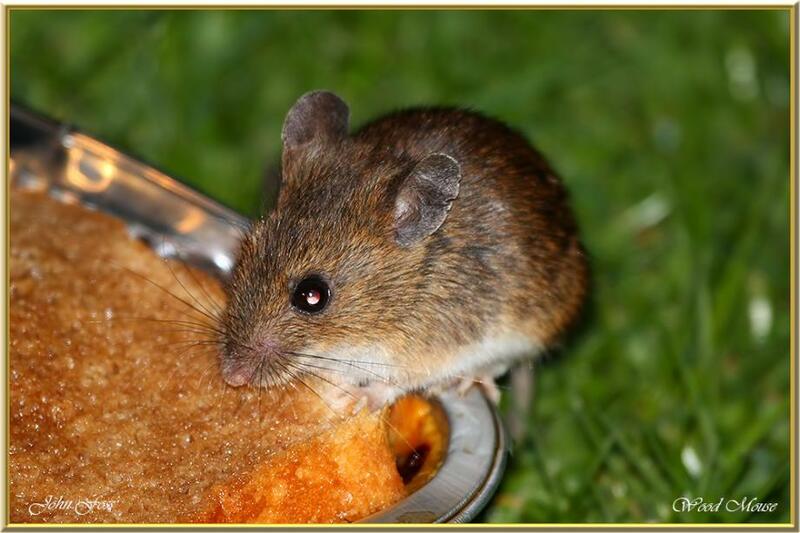 Wood Mouse - Or Long-tailed Field Mouse can produce up to 55 litter per year! Normally nocturnal. Leaving underground burrows to feed on nuts, seeds, fruit and berries. This chap trying to steal a piece of leftover toast put out for the birds! Photographed in County Leitrim.